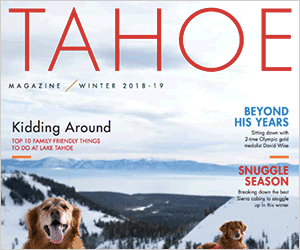 TAHOE/TRUCKEE, Calif. – Make looking and feeling your best a priority for the new year. The knowledgeable staff at Sierra Cosmetic Laser has comprised tips and advice to help locals and guests defeat signs of stress and battle aging skin. Ranging from skin hydration to cosmetic treatments and stress relievers, Sierra Cosmetic Laser can pinpoint a treatment to help guests of all ages feel rejuvenated. Follow these tips for healthy, glowing skin and a boost in energy. If you are starting to feel and see the affects extreme Sierra weather has on your skin, there are a variety of options to begin minimizing and reversing these signs. The first, and easiest, is to keep skin hydrated. Using the correct topical cream will have an instant affect and will protect your skin from further damage. Sierra Cosmetic Laser suggests using a day cream with a SPF of at least 32. Sierra Cosmetic Laser’s line of Eminence Organic Skin Care products will protect and moisturize skin, help cell regeneration, reduce signs of aging, lighten pigmentation, and keep skin hydrated and balanced day and night. There are also several fast, non-invasive cosmetic treatments that will quickly give skin a healthy and youthful glow. To give skin an overhaul with instant results, indulge in a therapeutic facial, laser treatment, or Botox. In less than an hour, a facial will rid skin of dry, flaky skin cells, leaving the skin moisturized, polished and rejuvenated. If you are getting to an age where skin is starting to be a bit less resilient, try the non-invasive collagen stimulation or Botox procedures. In just 20 minutes, skin will be on its way to producing more collagen, which plumps fine-lines and produces an overall toning and tightening effect. Aging and weathered skin is often joined with brown spots and spider veins. Sierra Cosmetic Laser specializes in laser treatments that will fight these signs with speed, and are virtually painless. The holidays are a strenuous time and can leave us feeling tired and stressed. It is common knowledge stress causes wrinkles, and at this time of year, stress is inevitable. To fight stress and its physical affects, Sierra Cosmetic Laser suggests relaxing with a massage. Massage can decrease anxiety while improving energy, concentration and circulation. Massage has also been linked to increased immunity, shorter labor times, scar tissue regeneration and a host of other interesting applications. In order to start the year off with energy and pep, vitamin B-12 injections can help revitalize those suffering fatigue. This water-soluble vitamin plays a key role in the normal functioning of the brain, nervous system and formation of blood; is essential for healthy skin, hair, nails, cell reproduction and healthy digestive system; protects the body from a host of potential medical issues; and is critical in converting carbohydrates into glucose, which leads to more efficient energy production, decreasing fatigue. Sierra Cosmetic Laser can customize the perfect skin care regimen and treatment for any skin type or concern, at a price to meet any budget. Their knowledgeable staff evaluates the skin needs of each individual client and makes recommendations based on the client’s skin type. Sierra Cosmetic Laser hosts occasional free informational events to help people learn more about taking care of their skin. See their Facebook page for event and information updates. Sierra Cosmetic Laser offers laser, spa services, Botox, fillers and more at their one-stop day spa housed in a renovated building at the far western end of historic downtown Truckee at 10448 Donner Pass Road. For more information, visit sierracosmeticlaser.com, call 530-587-0198 or “Like” Sierra Cosmetic Laser and Spa on Facebook.